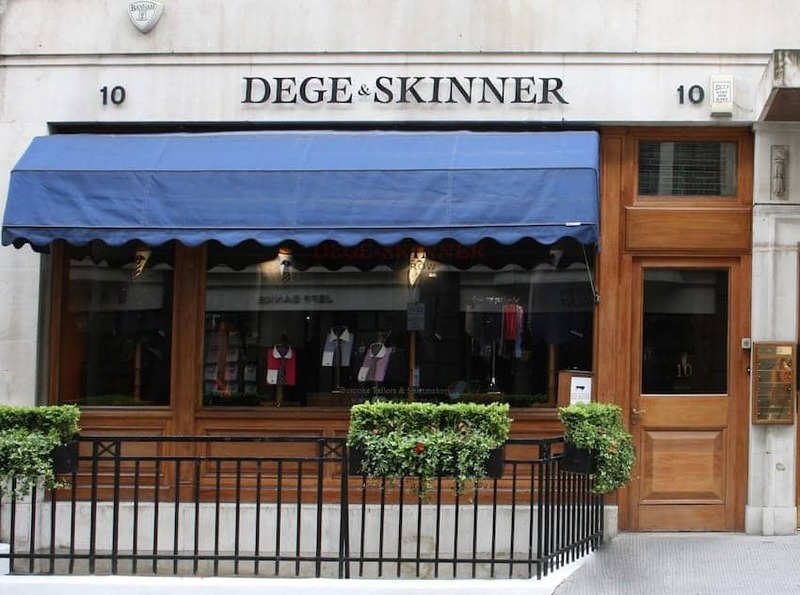 Dege & Skinner, a gentleman's tailor on Savile Row, originally catered for the needs of the British Army, the Royal Navy and the British Royal Family. Founded in 1865, they are still a family business, one of the oldest, bespoke tailoring companies in the world. All their bespoke clothes, uniforms and shirts are cut by hand on the premises. In fact they have Savile Row's first and only on-site, bespoke shirt service. The company has obtained three Royal Warrants, HM The Queen, HM The Sultan of Oman and HM The King of Bahrain. The firm also provides bespoke and military tailoring.